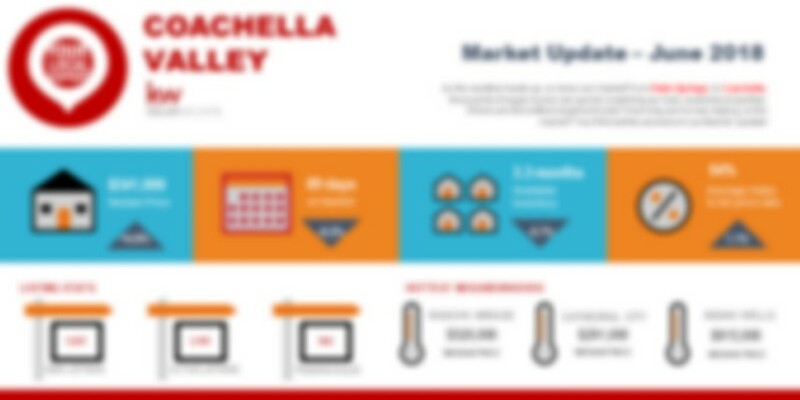 In reviewing the current market statistics for the COACHELLA VALLEY market, JUNE of 2018 varied from JUNE of 2017. Closed Sales are down 12.2%, Pending Sales are up 1.7% and Active Listings are down 17.9%. The median price was up 4.9% compared to this same month last year. Keeping in perspective that June 2017 was a banner month for sales made, an adjustment is no surprise. 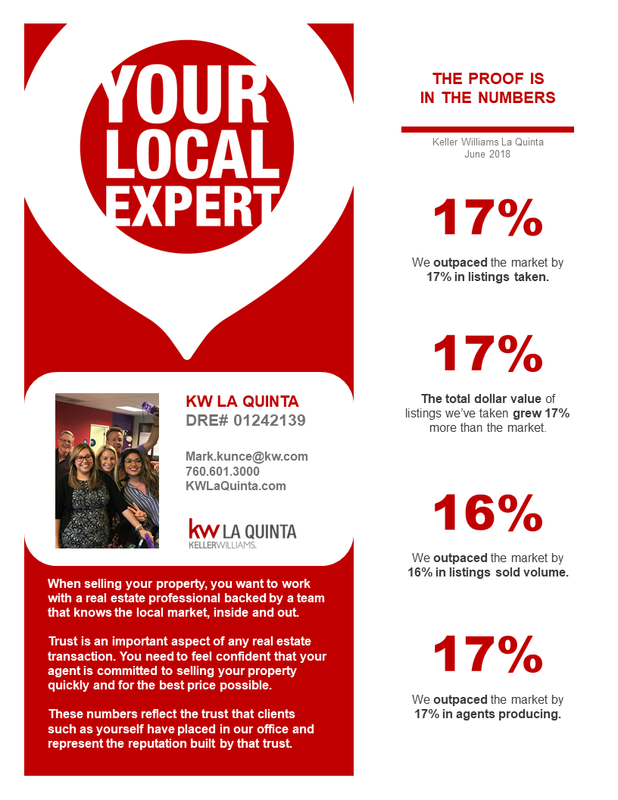 Month after month we continue to experience price increases in a steady manner. 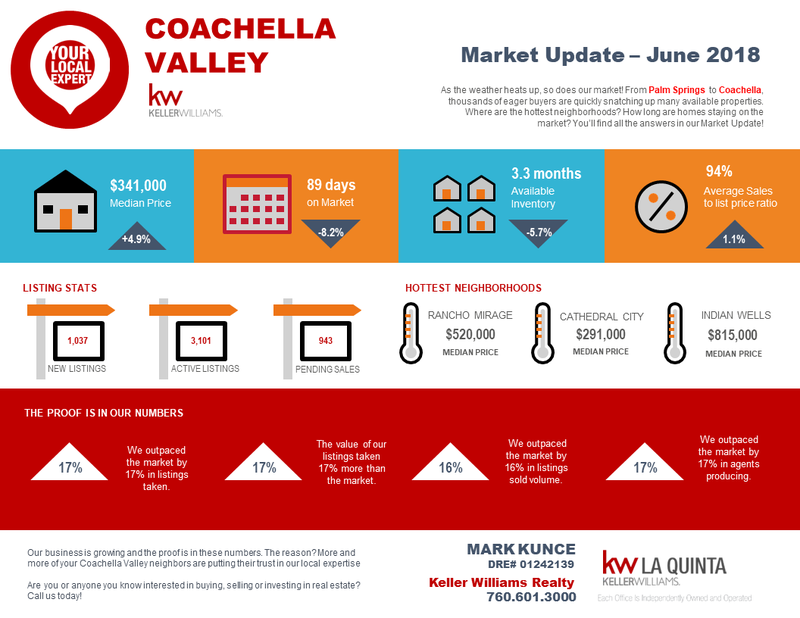 While much of Southern California is in a feeding frenzy for homes, there’s still a good amount of inventory in the COACHELLA VALLEY market to choose from, yet prices continue to climb for sellers.